During IDA’s Getting Real 2016 conference in September, Susan Margolin and I hosted a two part panel on the state of documentary distribution. I conducted a series of case studies with Nanfu Wang, from the critically acclaimed Sundance film Hooligan Sparrow. Christo Brock and Grant Barbeito’s Touch the Wall, and finally Keith Ochwat and Christopher Rufo’s Age of Champions. Susan then dove into a panel of industry experts including Josh Braun of Submarine Entertainment; Orly Ravid, entertainment attorney and founder of The Film Collaborative; Annie Roney of ro*co films; Nolan Gallagher of Gravitas Ventures; and Felicia Pride of Tugg, the theatrical event platform. I look forward to your thoughts and feedback. I’m really excited about this brand new book, Selling Your Film Outside the U.S. (click here to download the book for free) that I wrote with Sheri Candler, The Film Collaborative co-executive directors Orly Ravid and Jeffrey Winter and Wendy Bernfeld, managing director of the European content curation and licensing company Rights Stuff BV edited and published by The Film Collaborative. Selling Your Film Outside the U.S. is the second volume in the “Selling Your Film” case study book series. 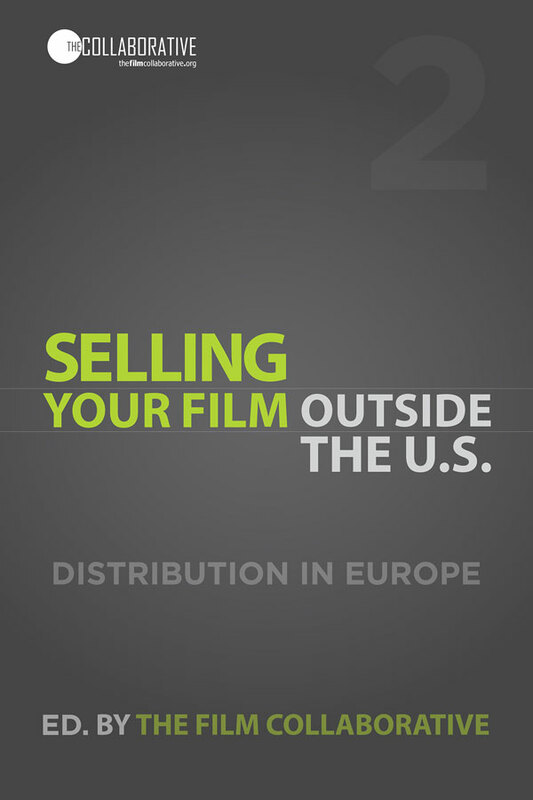 While our first book, Selling Your Film Without Selling Your Soul, focused on U.S releases and case studies, this volume takes a deep dive into digital distribution (and distribution generally) in Europe and provides several case studies of films released there. Within the pages of this book, you will find marketing and crowdfunding strategies, real distribution budgets, community building activities and detailed ancillary and digital distribution revenues for independently produced films. My chapter is a case study of the Scottish film I Am Breathing and how the release was run by Ben Kempas, the Producer of Marketing and Distribution hired by The Scottish Documentary Institute for all of their films. The chapter not only discusses their outreach and release strategies, but also the Portable Fundraiser technology they developed with Distrify. It finishes with an evaluation of the effectiveness of the PMD, not only for films, but for film organizations to have on staff. Click here to get your free copy. Outside of production, we wanted to start our social media outreach early. I’d talked with Jon Reiss before I’d graduated about fundraising and getting the community involved as much as I could. Guys and Girls Can’t Be Friends is about falling in love for the first time but from the male’s point of view. It’s backbone evolved from Virginia’s state slogan of, “Virginia is for Lovers.” Although a partnership hasn’t materialized between the film and Virginia Tourism, I was able to get some help from the Virginia Film Office with a small grant as well as some production resources. In addition to showcasing the area and it’s culture, we also wanted to get local people involved as much as we could. One of the first things I did when I came back to Winchester, VA was to reach out to the local media. I contacted the local ABC station, newspaper, and a hip, online Winchester magazine. It took some time but I finally started to get some press going before production (Even though we were pushed back to page C6 and a dog that was left in a car was on the front page). My goal was to get a quick, widespread word out around the time I was trying to get locations, because the film is littered with unique and specific locations. We figured it’d be easier to approach local businesses if they were aware of what was going on. It turned out I underestimated the small town relationships we already had, and through Ben’s family we were able secure all the locations we wanted. Word started to get out about us and we had businesses email us and invite us in. They got free advertising and we got a great location. We knew that raising money would be very difficult. We came up with investor/donator packets which had info on the film and who was involved. We emailed and handed them out to people we knew would be able to help. Slowly everything started to come together, we started to increase our budget as well, and we had our funding, or at least what we needed for production, a month before. Most of our money came from family and friends. We considered going to businesses and offering to shoot promos/commercials, as well as going to the casino and putting everything on red in roulette, but we never made it that far. Then, two weeks before we started shooting, we reached out to an actor we had wanted from the beginning and decided to use our contingency money on him. It was risky and dangerous but we figured we’d rather have an actor that we admired than to have the emergency money. We felt we couldn’t pass on the opportunity. I was opposed to doing an Indiegogo campaign before production because of the amount of work and I didn’t want it to take away from the film itself. Ben was adamant it wouldn’t become a distraction. From keeping an eye on Jon’s ongoing crowd-funding campaign and what I learned in his class Reel World Survival Skills at CalArts, I preferred to do a campaign for finishing funds. That changed when we scared ourselves into doing it before production when the thought that we might not be able to raise the money we needed, sank in. Ben said he would run it and we came up with some creative rewards: a night of dining and drinking with Ben and I, a “bootleg” copy of the film, a.k.a. an early cut, and a beer on set. I guess beer and hobo rewards really. We did a few video updates, they were a little wacky and obscure, but we wanted to stand out. In the end we never pushed enough and I wonder if people got confused by the tone of the campaign. The money we raised was still extremely helpful and I’m thankful for the people that helped. Having two recognizable names in our film and its production value were a big deal to us so we put all our money into our actors and camera/sound. 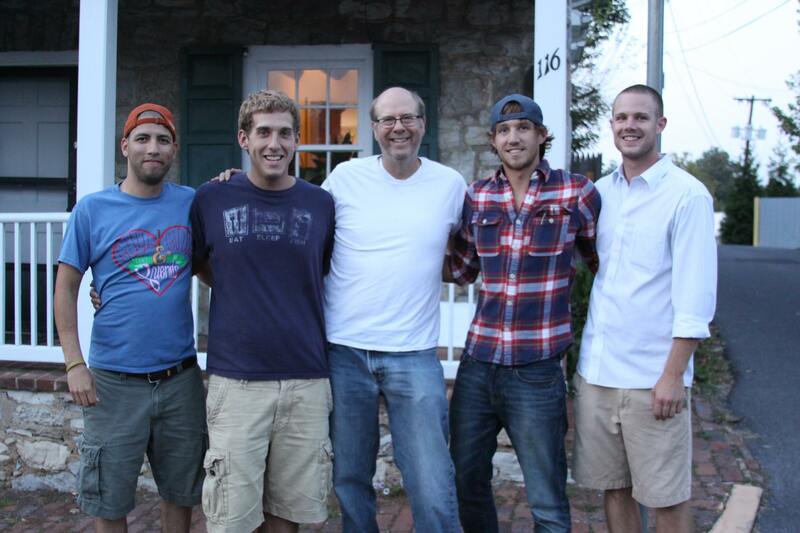 We found a group of fellas out of Frederick, MD who came as a package deal with their own equipment and crew. It saved us tons. Renting equipment and crewing up out of Washington D.C. was the last thing we wanted to do. We were able to cut costs by avoiding location fees, lodging, and a catering company. Almost all of our locations were more than willing to help free of charge. The support was amazing. Everyone welcomed us into their business and we saw true southern hospitality. We avoided hotel costs by putting everyone up in Ben’s Dad’s house. He had an open basement and bedrooms that we made very suitable for cast and crew. It was on a large chunk of land surrounded by apple orchards, so it was perfect. We were able to avoid a catering company when Ben’s Mom and sister volunteered to make all of our meals for set. We saved a huge amount this way and the food was delicious! These are a few of the perks we had by shooting in our hometown. Our friends and family came through big time for us and made it all possible. By the time we were filming, everyone in town knew what we were doing. In pre-production we posted video updates for our followers and content similar to our story (articles on dating and love, etc.). During production we kept our Facebook updated. We’d post when we were at certain locations and we added set photos as we went. That’s one place that really connected with the community because people would say, “Hey, I know that place!” We’d get shares from that, which put more eyeballs on our page. One thing that got the biggest amount of hits was a video recapping Day 3 of production with actor Clint Howard (https://vimeo.com/73791299). We got 22 shares on it and probably 75 page likes. We also had an Instagram that our script supervisor ran but it never really picked up a lot of followers. I guess #guysandgirlscantbefriends was having trouble catching on. Still, I want to keep getting content out there. I’m not worried about spoiling scenes or that plot, I just want to give people a taste of what’s to come. We could be a year plus from getting this film done and I worry about that wait time and what happens to that buzz we started in Winchester, VA. Yes, it’s a small audience, but we haven’t met one person there who hasn’t said, “I can’t wait to see the movie.” We’re hoping by the time the film is done we can have 1,500 likes. Our plan is to submit to festivals for our first line of screenings. Winchester will be one of the first places we screen after that. We’re planning on doing a screening at the local drive-in movie theater as well as some out-door screenings. Jon turned me onto the Southern Circuit, which is something that I’d love the film to make it’s rounds on. Since the film is a modern romance film, we thought of doing screenings based around date nights. As Jon says, make it an event. Either a date night or a guys vs. girls screening night. Also, my friend Michelle Kim designed a logo for us (in about 7 different color schemes), that we’ve used on Facebook, T-shirts, and business cards. The logo’s great and I think it will be useful when we start to think of different pieces of merchandise we can come up with. The production seems like a blur. We shot for 15 straight days, took 3 off, and then finished with 2 days. It wasn’t the most ideal conditions but we got it done. One of our sayings between myself and the DP was: “Get to day (so and so) with quality.” Even with the fatigue, I wanted to make sure we never settled or sacrificed anything, and we didn’t. We stretched every dollar as far as we could. And really, every dollar. As I edit, the only thing that matters to me is that it turns into a good movie. One of my main concerns was the amount of time that social outreach could take from prep time for filming itself. Now’s the time where I need to start targeting specific groups of my audience and really introduce my core audience to the film. While editing I’ll start to get a better sense of what type of screening/distribution strategy I need to take and what some realistic goals are. But boy, it’s been a hell of a ride so far. Theatrical is Dead Long Live Theatrical. The holy grail of a theatrical release still rings as a delusion for many. Fighting words still for untold thousands of filmmakers. Who doesn’t want their name in lights – long lines around the block – a packed theater of adoring fans. I believe this live engagement with fans is crucial for artists. But traditional theatrical is probably not the way you are going to do it. In the first post in this series, I indicated that filmmakers need to create scarce resources in order to compete with the abundance of digital. Today’s post will focus on events – or what I have termed Live Event/Theatrical. The essence of this renaming is for filmmakers to reformulate and to reclaim what the industry calls theatrical – for more on that see Think Outside the Box Office. (PS – I first said this was a two part series – then I said three parts – well I lied again and now it will be four parts – with Part 4 tomorrow). When films were only available in a movie theater – that was a scarce resource that could be charged for – it was the only way to see films. As technology developed new ways to see films, content creators/studios created release windows to control the monetization process of their film products attempting to keep the theatrical release as providing the highest per viewer fee per view fee. Traditional theatrical gives consumers an excuse not to see a film when the filmmaker wants their audience to engage with it. Why spend the time, effort (which are often more valuable than the $12 ticket price) to see something that will be available much cheaper and more conveniently soon enough? Creating scarcity is an independent filmmaker’s way of creating demand for their Live Event/Theatrical “products”. The essence of scarcity is: people want what they fear they might not be able to have. Scarcity also creates something will be unique to them and a few others. The scarcer something is, the more demand you can create for it. Simply put: by decreasing supply with stable demand you increase value. The essential consumer value of Live Event/Theatrical must be a live communal experience, unavailable anywhere else. I will write about the importance of community and the extra value that this creates to screenings at another time. It is important to keep in mind that this post is not just about monetizing through events – but is about creating ways to keep that important experience of watching films communally with other people – especially strangers. Hence the event creates something new – never created before and even beyond the elements that you provide. This communal added value experience is quite different than the consumer value of Digital Products, which is one of convenience. Live Event Theatrical can never compete with digital on the level of convenience and must create its own value to succeed. 1. Time Scarcity: Embrace the One Night Screening – All things being equal, for small films with limited budgets, one night screenings are much easier to book and will in general be more successful in terms of audience and money. By only offering a communal experience once in a particular geographical location, is an immediate way to make it scarce (only that number of seats are available) and immediately more. The more you promote sales of tickets being sold, the more urgency you can create for the event. When you sell out you can add more screenings “by popular demand”, creating demand where perhaps none existed before. I have experienced this over and over again for my own films and my clients’ films. For our recent US premiere of Bomb It 2 in Miami, the film sold out several days before the event. One of the benefits of Live Event/Theatrical for filmmakers is publicity and awareness (events by their nature do this) – but the more you add value and uniqueness to an event – the more it will create awareness. (As a caveat – four years ago it was hard to get the press to cover one night film screenings – but now that is changing more and more – and especially if you as the filmmaker add uniqueness to the event). 2. Time Scarcity – Part 2 National and/or International One Night Screenings. This takes time, effort, coordination but can be extremely successful. Going through satellite service providers such as Fathom, Screenvision and Cinedigm can be expensive (although the latter has started releasing films that they acquire in this manner). But savvy filmmakers can do this without the traditional $75,000-$125,000 satellite fee. Two notable cases are The Age of Stupid from Franny Armstrong and Lizzie Gillet of Spanner Films (who used Fathom in the US), which still has the record for number of screenings (500) and number of countries (40) for an independent film in a 2 day period. (Can anyone beat this?) For Joffrey: Mavericks of American Dance Sheri Candler and I worked with Ira Deutchman and his Emerging Pictures to create a 45 city one day event which was also the world premiere screening of the film. The total cost of this was $1000 (Emerging’s Fee), which we was deducted from the box office. In both of these cases the filmmakers added unique elements besides the limited time to further enhance the event. For the Joffrey film we netcast a q&a with Joffrey Ballet alumni which our research indicated was what our audience valued the most for live events (not live ballet that I had originally thought). We also enabled audience from around the country to participate in the Q&A via Twitter. Video documentation here. For Age of Stupid Franny and Lizzie had a numerous celebrities participate both live and via Skype. For the Connected New York theatrical Tiffany Shlain arranged a different notable guest speaker for every screening turning each one into a unique event and selling out nearly all of her screenings in the process. Examples abound from Anvil: Story of Anvil, DJ Spooky, Braden King’s Here, Corey Mcabee whose own band The Billy Nayer Show plays live with his films and again Ride the Divide who still take the cake by selecting bands for their soundtrack proactively who would perform in the cities they knew were geographical targets for their audience. 5. Create Unique Live Qualities Unavailable Anywhere Else – Live Music Remix. I am finally putting my money where my mouth is – our Austin premiere at the Alamo Drafthouse for Bomb It 2 with be remixed live by DJ Chorizo Funk. To do this I created a D&E (dialogue and effects) mix of the film on a separate screener – and then provided all the tracks to the DJ and theater on a separate CD/download. Other event attributes of this screening: live graffiti painting in front of the theater before the event, local featured artist Sloke appearing after the screening (note the importance of using a local artist with his own audience base) and skype Q&A by yours truly (although this may convert into a pre-recorded pre-screening intro). I also timed this event to coincide with the conclusion of the Bomb It 2 Kickstarter campaign to have a special event to cap off our fundraising. 7. Create Unique Live Qualities Unavailable Anywhere Else – Audience Participation. Rocky Horror Picture show is the most famous example, but indies such as Best Worst Movie have had their fans dressing up and participating as well. Corey McAbee recounted that in Melbourne Australia people would dress up as the characters in American Astronaut and sing along – for years of midnight screenings. 8. Create Unique Live Qualities Unavailable Anywhere Else – Actors Performing With the Film, Text Messaging, Immersive Experiences. Each of these techniques can be done separately, but so far the filmmakers experimenting with this such as Lance Weiler with Head Trauma and more recently Mark Harris with The Lost Children are combining multiple aspects to create immersive experiences for their audiences. This needs its own blog post – but again crowdfunding has pushed filmmakers to think expansively about creating unique scarce experiences that can be offered to fans such as dinners, set experiences, live chats, backstage access etc. What you offer depends on your audience. Since my audience is mostly comprised of independent filmmakers, for my Kickstarter I have offered a variety of experiences that are based on my consulting brand: a monthly group conference call/presentation with twitter q&a, one time conversations, monthly workshops and individual intensive consultations. What value can you provide to your audience? What does your audience want from you? 10. Creating Unique Live Events – What Am I Missing? I would love to get examples from you as to what unique screenings and events you have created or experienced? We have met our goal – but have added a stretch goal of $20K to help cover all of our expenses. More important than the stretch goal, though, is our goal to create a community of 300 backers for BOMB IT 2. As of this moment, as I am writing this for you, I have 280 dedicated backers who have not only pledged money but most of whom has dedicated time and effort toward spreading the word about the campaign. Yes, I’ll give them the movie and other perks, such as consultations, posters, original art, etc. in exchange for their contribution, but they’re giving me much more. Jon Reiss is filmmaker (Bomb It, Better Living Through Circuitry), author (Think Outside the Box Office) and media strategist who works with filmmakers, companies and organizations to help them utilize the most recent techniques of direct film distribution and audience engagement. When I wrote the first post in this series, I thought this would only be a two-parter, but I decided to expand this to a 4-part series because of a little voice in my head that said I needed to talk about audience engagement more. Yes, I said in Part 1 that I wasn’t going to address it in this series because I had addressed it before – sue me. The truth is, audience engagement is so central to this whole process that I needed to add my evolving thoughts on it. I think you’ll appreciate my change of heart. Audience engagement is a term that I have recently come to use interchangeably with “distribution and marketing.” What else is distribution and marketing – if not enticing, conversing with, and ultimately wooing your audience? Up until a year ago my marketing and distro presentations had a 3-step process for audience engagement. Each step could reasonably comprise a blog post in its own. What niche audiences does your film appeal to? What are the core audiences within these niches? What secondary and tertiary audiences might there be that this core can expand out to? 2. Where does your audience receive information and recommendations? I examine this by looking at various channels of communication that audiences rely on, such as influencers, social media, traditional media, organizations, etc. 3. How does your audience engage with media? In other words, how does your audience consume media? Do they download? Do they pay for media? Do they go to the theaters? Every film, artist, creative project is different because their audiences are different. There is no cookie cutter audience engagement shortcut. You have to figure out who your audience is, what they’re doing, and where they are before you figure out how to approach them, get them on your side, and get them to see (and champion) your film. 4. What value can you provide your audience? After identifying your audience, this is actually the most important action to consider – and it will be different for every audience. It forms the basis for engaging with your audience as well as the products you offer them. You can’t just think about what you want them to do for you; you truly have to assess what you’re doing for them. Most people say that if you don’t make a something great – then nothing else matters. I don’t know if that is precisely true anymore (since people are investing in people – eg you – not as much your project anymore) – but as a purest and as an idealist – I will put this first. Your value to your audience is to provide them with a great film – or creative project. Perhaps you can boil it down even to a great story – either fictional or dramatic – which could play out in a variety of forms. This can range from online interaction with audiences – real give and take on social media channels where your audience feels that they are engaging with you. Or it can be live – hanging around after a screening talking to people one on one. My monthly conference call in my Kickstarter campaign is a way to achieve 2&3. I will discuss this more in the next part of this series – but at its most simple it involves getting beyond the notion of theatrical screenings as the epitome of the way film is to be experienced. What kind of events can you provide with your film? What kind of experiences can you provide around your film? What kind of experiences can you provide around yourself as an artist? Again – crowdfunding has been great to get filmmakers and all artists to think creatively about creating exclusive experiences with their audiences – one to one conversations – year long group projects – etc. 5. Content Part 2 – Other Assets. You don’t need to create a full blown transmedia experience to create other assets that engage people in your project. Braden King’s Postcards From Here are an elegant, simple, compelling example. Showing me your vision on Instagram everyday makes me see your evolution as an artist. Perhaps there is something else you can offer that I could never even imagine. I hope so. I want to see it. I am currently running a Kickstarter campaign, so you can see how I am utilizing scarcity, membership, and digital exclusivity to raise funds for my latest film, Bomb It 2, here:bombit2Kickstarter.com. Today we are hosting a guest blog post written by the team behind the documentary STREET FIGHTING MAN. The documentary (twitter, FB) is due out in Spring 2013, and the production and post-production have been funded almost entirely through two Kickstarter campaigns, which raised over $30,000. Additionally, the Street Fighting Man team threw a series of old school house parties, hosted by some of their biggest Kickstarter cheerleaders, in cities across the United States to supplement their campaigns. The combination effect of the Kickstarter campaigns and the house parties is noteworthy. Not only did they raise the needed money to help complete production on the documentary, but they also managed to create an audience for STREET FIGHTING MAN months before its release in the process. 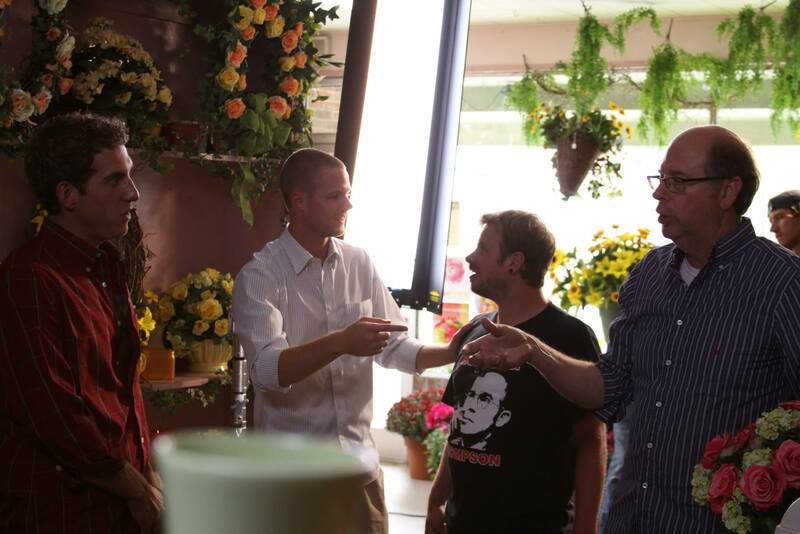 The following interview features insights into their success from director/producer/cinematographer Andrew James and producers Sara Archambault and Katie Tibaldi. Good news. Another special guest blogger has been added to our arsenal. Author and filmmaker James Cooper wrote the book Kickstarter for Filmmakers after successfully funding his short film Elijah the Prophet through the popular crowd funding website. Below James shares his top five crowd funding tips for filmmakers. Kickstarter is creating a boom in creative communities around the world! 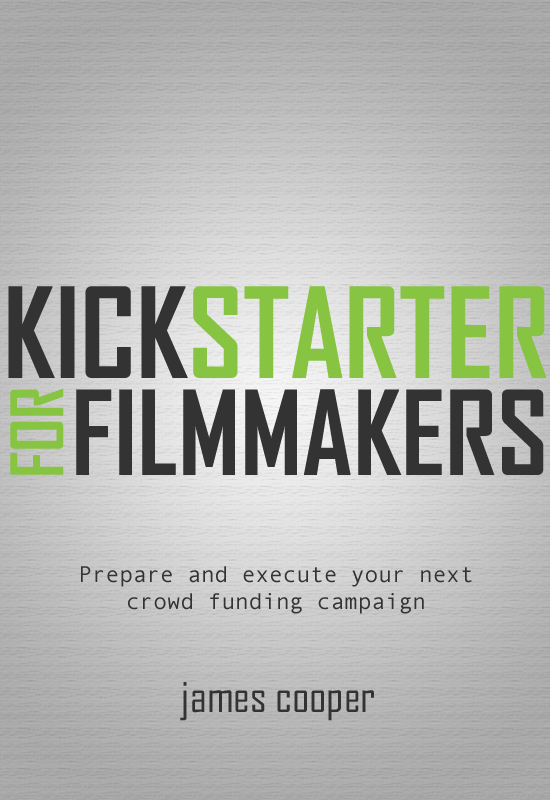 Filmmakers everywhere are chomping at the bit to get in on the action, but did you know over half of all campaigns launched on Kickstarter fail? Crowd funding is still a relatively new business model, and it can be overwhelming to make sense of it all. Without the proper preparation, though, you may be dooming yourself to failure before your campaign even sees the light of day. This should be easy, but for some reason seems to be overlooked not just in crowd funding campaigns, but in general. When many new filmmakers are asked “Who is your audience?” with respect to their new project, they too often answer “Well, everyone!” This will not do. Crowd funding sites are jungles, and even though some do have good tools for discovery, it will be very easy for you to get lost in the crowd. Your success will be determined by your ability to get the word out, and your success in that will be determined by your ability to identify what groups and niche audiences you can focus on reaching. Crowd funding is still new enough that an interesting campaign is in of itself news. Simple, right? You’d think so, but quite often you’ll read through a project’s entire description and still not know who else is involved aside from the person writing the description/appearing in the pitch video. It takes more than one person to make a film, and your audience will want to know they can all be trusted to deliver. Even if none of the people involved in your film are recognizable to the uninitiated, it still helps spur support if people can get a quick glance at the passionate team that’s dying to bring this project to fruition. It’s easy to be blinded by dollar signs when looking at other successful campaigns, but don’t get carried away when setting your goal. Maximize your odds of success by taking stock of your network and making realistic estimates of what kind of support you’ll be able to gain. Be conservative in these estimates. It would be a far better surprise to end up with more than you thought you’d have, than to come up with less. To this effect, you also have to figure out if you think you can realistically fund the entire project through your campaign, or if you’ll have to bring outside financing to fill the gap. If you do, it’s far safer to have that in place prior to launching your campaign. This seems obvious, but it’s one of the most important things to keep in mind as you build your campaign: Don’t lie; don’t misrepresent yourself or your credits; don’t make promises you can’t keep. When people back a campaign, they’re making a deal directly with you. Kickstarter, Indiegogo and other similar platforms don’t police your ability to deliver, so it’s up to you to do so. You don’t want to waste their money or ruin your reputation, so ensure you’re not promising more than you’re capable of. Everything you include in your pitch video and your project description should be able to be distilled into two words: “Trust me.” For better or worse, crowd funding is a model that relies solely on trust: Trust that you can get this film made, trust that it will be good, trust that the money will be well spent, and trust that the claims made in your campaign are true. Don’t forget: This is the internet; it’s not hard to sniff out false claims. Don’t let the funding part of the term crowd funding distract you – you’re getting more out of your campaign than money. Backers are early adopters, and they are more likely than anyone else to champion your project and shout it from the rooftops. They are now invested, literally, in your success. They’ve become part of the process, so treat them as such. Don’t just take their money and say thanks; show them you’re grateful for their help. This can take any shape you choose, but make them feel like they’ve backed the right horse. I had a hard time deciding if #2 should be #1 or not, as they’re both equally important, but I ultimately decided the backer/campaigner relationship is the cornerstone of any crowd funding campaign and that the benefits outside the strictly financial should not be overlooked. Excerpt from “Insiders Guide To Independent Film Distribution” (2nd Edition, Focal Press) by Stacey Parks. Available in paperback and kindle versions at www.FilmSpecific.com/Book. Q: Tell us about Target Audience and what will happen if a filmmaker doesn’t identify this early on in the process? A: To me a target audience is one of the niches that exist in the world that would be interested in your film (or anything that you do). A niche is a group of people focused on a particular interest. They are accessible. You can afford to market to them. For instance in the case of my film “Bomb It”, one of the niche audiences is graffiti writers and street artists. Another niche audience is people who love graffiti and street art. A third audience for Bomb It is underground hip hop (specifically people who argue over how many “elements” there are in hip hop – graffiti often being called one of the “4 elements of hip hop” (some people feel that there are 5, others 9, etc). While you may think that people who love hip hop is also an audience – that is too broad of an audience for us to tackle with limited means. It is best to drill down as deep as possible to the narrowest niche, or core within a niche, in order to begin engagement. This process takes time and the earlier you start it, the better. Your release will be much more successful (assuming connection with audience is one of your goals) if you have started to engage your audience (or at least the core of your audience) prior to your release. If you don’t, you will be struggling to gain audience during your release. By not laying this foundation, you are essentially shooting yourself in the foot. Q: Once you identify your Target Audience, what’s next? Any tips on aggregating? 1. Who? You must identify your audience – discussed in #1 above. And within each niche you should identify the core audience(s) within each niche. 2. Where? You must determine where and how this audience(s) receives information – and it will be different for every audience. Some audiences don’t use social networks – even today. Others are on Facebook or Ning more than Twitter. Each niche will have certain blogs that are important to it. You determine this via research. 3. How? Does this audience consume media? In other words – how might they watch or interact with the story of your film? Will they go see a live event, do they still buy DVDs. What other kinds of merchandise might they buy? On what platforms do they watch digital content? You need to know this in order to connect your final film (or any product) with your audience(s). Q: I hear filmmakers say all the time how difficult it is to start any type of campaign for their film during Pre-Production because nothing is really ‘happening’ yet. In your opinion, how can filmmakers create an initial campaign for their films during Pre-Pro? I think “campaign” is the wrong way to think about it. I recommend that people/filmmakers think in terms of connection. You have fans out in the world (they may not know you exist) – you need to connect with them. Topics could include: What are you interested in? Why are you making this film? What are your struggles? How might you need help? How can your audience contribute to your film, not just financially (crowd funding), but also creatively (crowdsourcing)? Ask them questions about different concepts, techniques you are considering etc. Crowd funding and crowdsourcing are as important for audience connection as it is for money or creative contributions. But more importantly – don’t just talk about yourself and your film. In fact no more than 20% of what you talk about or put out through your various channels should be about your film and yourself. 80% (at least) should information valuable (or entertaining) to your audience. Go out and listen to your community and then become an authority within that community. Talk about the film once in a while – and then when you are in release, your audience will gladly support, promote, and refer you. Q: All this can be so overwhelming to think about doing on your own — what kind of team should filmmakers be building during Pre-Pro to facilitate the marketing of their film? I believe that filmmaking is a two-part process. 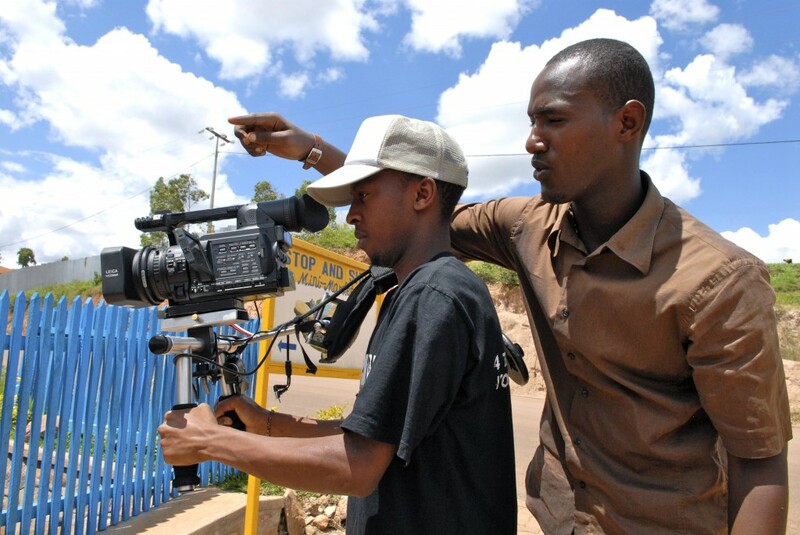 The first part is creating the film – the second part is connecting that film with an audience. I think the most important team member to bring on in Pre-Production is the person I call the Producer of Marketing and Distribution – or PMD. This person is the point person for all aspects of audience engagement as outlined above. If you recognize that it is important to connect with audiences, then you absolutely need to devote resources to this process. Everyone with traditional film positions already has their plate full making the film. Filmmakers need to realize that unless they themselves will take on this work, they must get someone on their crew who will, just like they have someone line produce or edit. That is why I created the position of the PMD in Think Outside the Box Office, because unless there is a clearly defined role for these tasks, they will not get done. Q: Tell us about “Bomb-It” – what did you if anything during Pre-Pro that set you up for a successful release of the film later? 1. We set up a website and a blog. We posted regularly to this blog, very rarely about our film. We posted almost exclusively about our subject – graffiti and street art. Specifically, we posted items that interested us and we felt would be interesting to our audience. We featured artists that we interviewed as well as bloggers, journalists and influencers within our community – see #6 below. 2. On our website we incentivized people to join our email list by offering to mail them stickers (yes via snail mail). This is an early example of an Email for Media campaign. It cost a few hundred dollars to execute but 1). It was directed at our specific audience. 2). It gave people something in exchange for what they were giving us (their email address). We had 1000 people on our list by our premiere. 3. We set up a Myspace page. Remember this is 2004/2005 when we started (Facebook wasn’t the force it is now – and our audience was not on Facebook at that time. Our audiences were on Myspace – see research above). By the time we premiered at Tribeca Film Festival we had nearly 5000 fans on Myspace. 4. We cut trailers as soon as we had enough footage and posted them to YouTube – and directed our audience to them. We were on our 2nd trailer by the time we premiered. 5. We reached out to key bloggers, journalists, galleries and influencers within the community. We created friendships with these people that lasted beyond the release. Stacey Parks is a film distribution expert and Producer with over 15 years experience working with independent filmmakers. As a Foreign Sales Agent for several years she secured distribution for hundreds of independent worldwide. Stacey currently specializes in coaching independent filmmakers on financing and distribution strategies for their projects, and works with them both one-on-one and through her online training site www.FilmSpecific.com The 2nd edition of her best selling film book “Insiders Guide To Independent Film Distribution” (Focal) is now available at www.FilmSpecific.com/Book. For the past six months, my company, Hybrid Cinema, has been working on the release of Bob Hercules’s new documentary film Joffrey: Mavericks of American Dance,about the history of the Joffrey ballet. This is a capsule post to explain the highlights of launching a documentary into the marketplace when working with a modest budget. Future posts will go more in depth on certain aspects of this release. With at least 35,000 feature films on the film festival circuit every year, by some estimates, very few films are going to premiere at one of the top 5 film festivals. When that happens, filmmakers need to decide what is the best launch for their film. We concluded that in the case of the Joffrey film (and we feel that this is the case for many films), some form of robust live event premiere would help to create awareness for the film in the oversaturated media landscape. Live events are great publicity generators, allowing you to focus marketing efforts on a specific event. Festivals are great partners for these types of events – even if you don’t get into a top 10 festival – because you can create a unique experience by partnering with open minded and adventurous festival that is already connected to press and audiences. 1. A premiere that will reach your audience. Very early in creating our distribution strategy, we identified ballet fans (and more specifically fans of the Joffrey ballet and even more specifically the alumni of the Joffrey ballet-more on audience identification in a later post) as the natural audience for Joffrey: Mavericks of American Dance. Sure, there are other audiences for a film like this – but it is essential to go after who will be the most passionate about seeing the film. For this reason, we targeted the Dance on Camera Film Festival which not only is one of the premiere dance film festivals in the world, it is based in New York City – the birthplace of the Joffrey ballet and the center of the dance world in the United States. 2. Creating an event that will garner attention for your film. 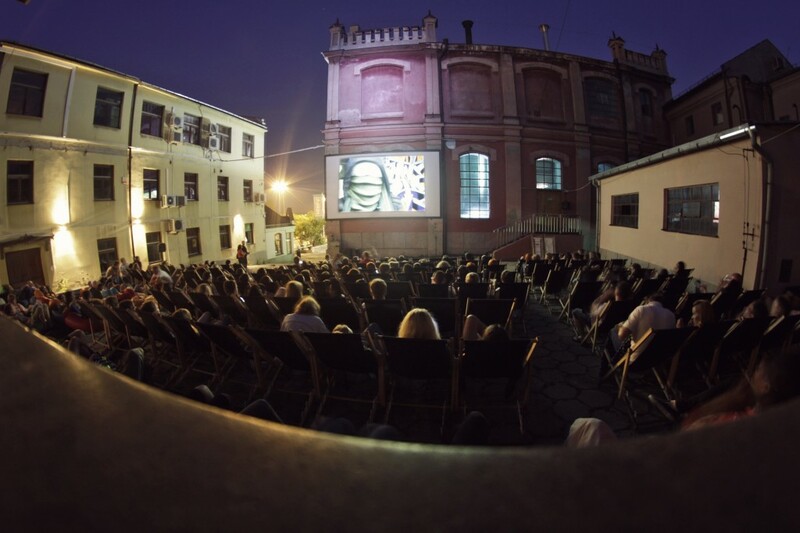 Festivals have many films to care for and promote as well as promoting the brand of the festival in general and often they have a small staff to accomplish all of this. There is a lot for the media to choose from for coverage. What will make your film unique and interesting to cover? We decided early on to partner with Emerging Pictures to simulcast the screening of Joffrey at the DOC festival not only to reach a nationwide audience, but to create a larger story for the press to pay attention to. Emerging was a natural choice because they screen live ballet performances from Europe through a digital network of cinemas throughout the US, so their cinemas already have an audience for this type of programming. They also have the technology in place at Lincoln Center that enables a netcast to happen so the venue and the festival wouldn’t have to figure out the logistics of the simulcast. Even though a festival premiere is an event in and of itself, that is not always enough to attract attention from the media or from audiences. You should always strive to create your live events to be as unique as possible, both from the perspective of media coverage and from the perspective of the audience, to create that need to attend. Many subjects in the Joffrey film are iconic dancers in the ballet world, what ballet fan would not want to interact with them? We created a post screening panel of former dancers that the audience in the theater could interact with and meet after the screening, but we also enabled audiences even across the country the ability to interact as well. Having this panel discussion netcast live to theaters around the country allowed audiences in to ask questions of this panel as well as interact with each other via Twitter using the hashtag #joffreymovie – creating a unique event not only in the Walter Reade Theater in New York City, but in 44 other cities around the country at the same time. This is also a unique event for media coverage because so few films take advantage of the technology today that enables something like this to happen and having such a concentration of iconic dancers in one place makes this newsworthy. 3. The budget you have to work with. We have a modest budget for the release of Joffrey so we had to do a lot with limited means. We have a small staff handling publicity, audience outreach, booking screenings and organizing merchandise sales. Bearing this in mind, we needed the most bang for the effort because we launched the film into the market during our festival premiere. We won’t have separate budgets for festival publicity and then release publicity in order to start selling. Utilizing the Emerging network only costs at most $1000 (which can be taken off the top). Similar satellite systems through companies like Fathom and Cinedigm can cost $75,000 to $250,000 because of the cost in satellite time. In addition, by covering much of the country at the same time – it allowed us to pursue reviews and articles in multiple markets – thereby most effective use of our publicity budget. 4. Creating assets before and during the release. In another post, we will talk at length about the need for additional media assets to promote your film and all of the ways we have done this. One way that you can garner additional assets during release is by filming and documenting your events. You want to film the event itself – outside the theater, crowd shots, audience arriving at seats, applause, the audience watching the film during the screening and the entire Q&A. Very important to capture audience expectation before and reaction after the screening. I recommend having two cameras so that one can be filming the Q&A and the other filming the crowd reaction outside. You also want a photographer shooting the event if possible. Short promotional videos that you can release on your Youtube channel to promote the film. For the premiere we created two videos. The first is about the film, opening night and audience reaction. The second piece which we are now premiering with this article concerns the simulcast of the film and the audience participation. Still photography of the people and personalities at the event (especially those that are interesting to your core audience and some that may be interesting to society pages and other publications). Longer pieces of the Q&A panel discussion or even of just the filmmakers in conversation. You can use these on your extra features. Since our extra features have already been locked and since we have received numerous requests from people around the country to see these panels, we are going to put the full-length panel discussions up on the web on Distrify and charge a dollar or two for the viewing as an additional revenue stream. 5. The need to have the next steps planned. Many times filmmakers are so busy planning their premiere, they neglect to prepare for what will happen after this. Where will all of this publicity attention go? In the past, they hoped it led to a distribution deal, but that cannot be relied upon now. There is no reason that direct distribution should not be the next step and that some kind of event theatrical screenings can be booked. In the lead up and following our premiere, we have booked over 20 other screenings and we continue to set up screenings. We also launched our online store just after the premiere and have sold several thousand dollars in DVDs/merchandise. Don’t let the efforts and the financial resources you put into the premiere stall out from waiting. In a future post, we will talk about how we prepared for sales by setting up the web store and creating the merchandise. The release continues and we will provide some in depth posts on this site of the different methods we have used to reach audiences and generate awareness and sales for the film. Sheri Candler is an inbound marketing strategist for independent films. Through the use of content marketing tools such as social networking, podcasts, blogs, and online media publications, as well as relationship building with organizations & influencers, she assists filmmakers in building an engaged & robust online community for their work that will help develop and sustain their careers. Currently, she is working with Hybrid Cinema to release the documentary film Joffrey: Mavericks of American Dance, a history of the Joffrey Ballet. She can be reached on Facebook, on Twitter and on Google Plus.